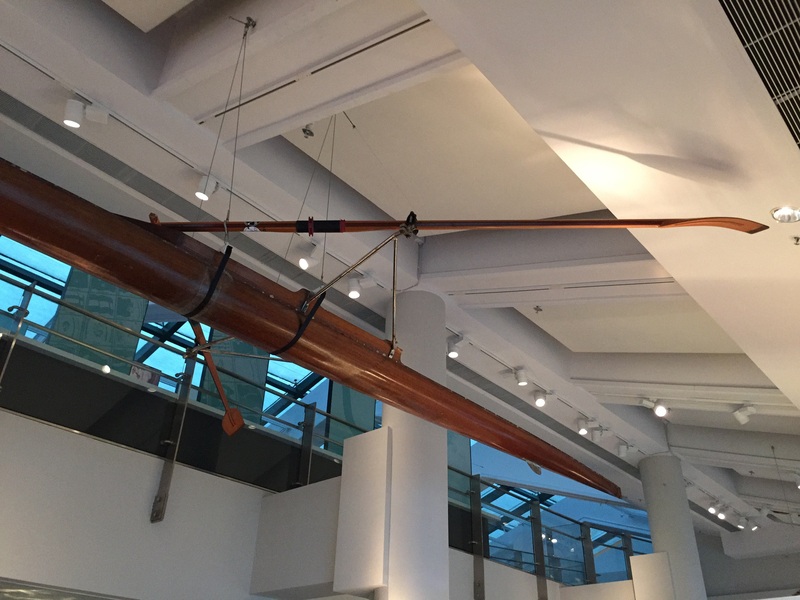 Simon and Nicholas Boyde have loaned their Sid Radley built single scull to the Hong Kong Maritime museum as the family don’t use it anymore. Their father Tom bought the sculler from a UK owner in around 1978 and later moved it to Hong Kong where the family were living. They believe it was the last boat Sid ever built. Simon kindly arranged for a no of pictures to be taken of the sculler to be taken as displayed and they arrived yesterday. They are stunning and will be in the book. I will upload one of them to this blog later. Thanks Simon. Hi, have you any images of the inside of this boat? There is a late built Radley single in the Dragon school boathouse in Oxford. Would be interesting to compare construction details to get some idea of its age. Hi, do you have any images of the inside of the boat? There is a late built Radley single in the Dragon School boathouse in Oxford. It would be interesting to compare construction details to get some idea of its age.